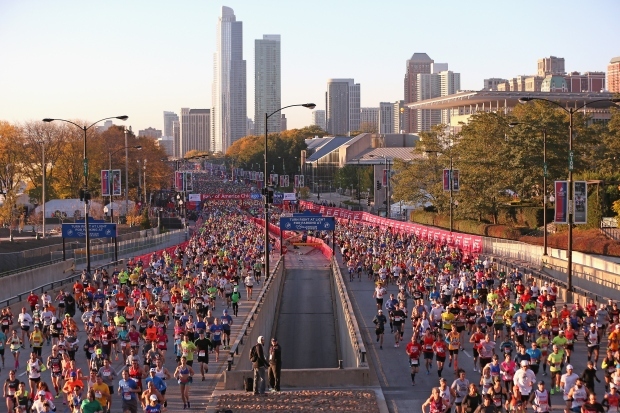 Chicago hosted the running world once again Sunday as nearly 45,000 runners took to the streets for the 2014 Bank of America Chicago Marathon. Runners snaked through several Chicago neighborhoods on a grand tour of the city, which continues to makes its way to the forefront of the running scene. The city is one of six World Marathon Majors. While there were precautions taken following the first U.S. Ebola diagnosis in Texas, officials said there were no Ebola scares or concerns surrounding the race and touted no security problems during the event. Both uniformed officers and those in plain clothes were on patrol along the route, and as in years past, random checks were conducted on backpacks or large bags. Despite optimism by race organizers and picturesque weather, there was no world record set in Chicago this year. Eliud Kipchoge crossed the 2014 Bank of America Chicago Marathon finish line in just 2:04:11. After Sunday's finish, he noted he missed his personal mark but still feels pleased with the result. "This is a big marathon," he said. "All in all, I'm happy." Defending champion Rita Jeptoo of Kenya won her second consecutive Bank of America Chicago Marathon on Sunday, making her the first ever man or woman to win four straight world marathon majors. Her unofficial time was 2:24:36. “Today, I was trying to push and it was very difficult because it was very, very wind,” Jeptoo said following her stunning win. Jeptoo ran her first career sub 2:20 in last year's Chicago race, the fifth fastest time in Chicago Marathon history. The University of Illinois' Joshua George and University of Illinois alum Tatyana McFadden took home repeat victories in the men’s and women’s wheelchair race. 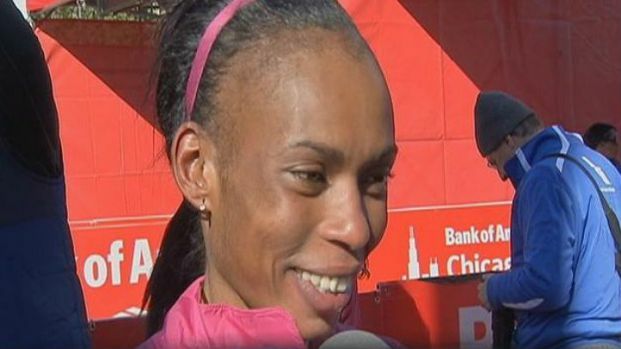 Jeptoo, dubbed the Queen of Chicago, won back to back Bank of America Chicago Marathons. She becomes the first woman to win four consecutive world marathon majors. 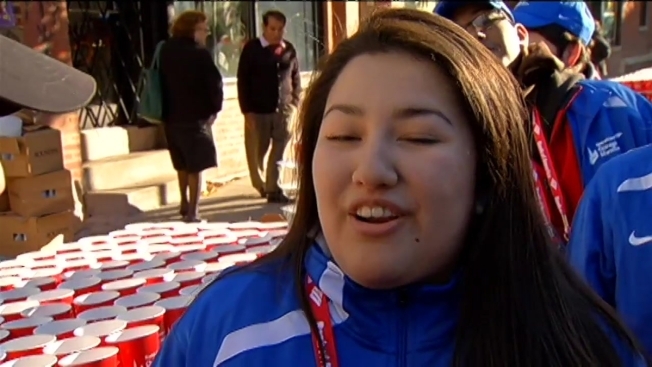 Many runners credited the Chicago-area fans and spectators with helping them reach the finish line. Officials estimate roughly one million spectators lined the streets to root for their champions. "Chicago is absolutely amazing," McFadden said Sunday.